As every Citrix Service Provider (CSP) can attest, delighted customers and enthusiastic references are the basis for high renewal rates and new wins. 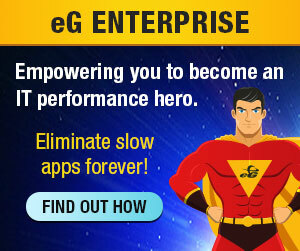 eG Enterprise has been addressing performance monitoring and management for on-premises organizations for many years. And although CSPs may not realize it, these same services are extended and uniquely modified for cloud/hosting requirements as well. CSPs who offer virtualized applications and desktops for their customers via Citrix XenApp and XenDesktop face increased competition due to more complex customer environments and customer demands for increasingly higher service levels. From a technical standpoint, these organizations must walk a fine line to provide the best possible service based on optimally apportioned system resources. Allocating insufficient resources causes an unacceptable end-user experience, whereas allocating too many resources adds unnecessary cost. Further, from a CSP business perspective, dramatically growing help desk, operations, and infrastructure staff to support increasing technical demands is typically not feasible, and even when some headcount increases are possible, finding qualified Citrix staff has become increasingly difficult. 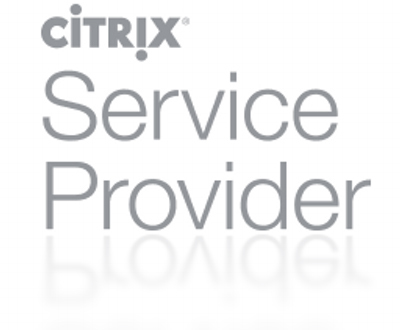 For today’s Citrix Service Provider, it is necessary to adopt a strategic business and technical solution that will enable fast and definitive root cause analysis, proactively minimize issues, and enable self-help options for customers. Unified performance management from eG Innovations provides visibility throughout the Citrix stack and across the infrastructure, with automated, correlated issue diagnosis to greatly reduce time to problem identification and resolution. Perhaps most importantly, eG Enterprise can be an important sales tool by helping to increase the Net Promoter Score of existing end customers. After all, delighted existing customers can serve as key references, provide testimonials, and, at some point, contract renewals. Further, new customers are most easily attracted by existing delighted customers. We invite Citrix Service Providers to try eG Enterprise for free for 15 days so you can see for yourself how it can help drive sales and increase customer retention.